When I started at Hampshire College in 2010, there was this cool band of upperclassmen that kind of blew my mind. They were called Pale Cowboy. They had jazz influences, but it was clear that making irresistible pop music was their thing. One song won me over, which was later released on their first two EPs: 2012’s Life Nature Library and 2013’s Shelter. It’s “Don’t Wanna Discuss,” a catchy, driving little pop song which has prescient lyrics for the political moment we’re living through now: “We’re all in peril, there’s no leadership, don’t you want someone who knows about business?/ We need more soldiers to protect the borders. We need a captain to stand up and fix this.” And then it launches into a tongue and cheek, even sarcastic, chorus about not wanting to “discuss anything.” That song feels timeless in the time I’ve known it, and it only grows on me with age. 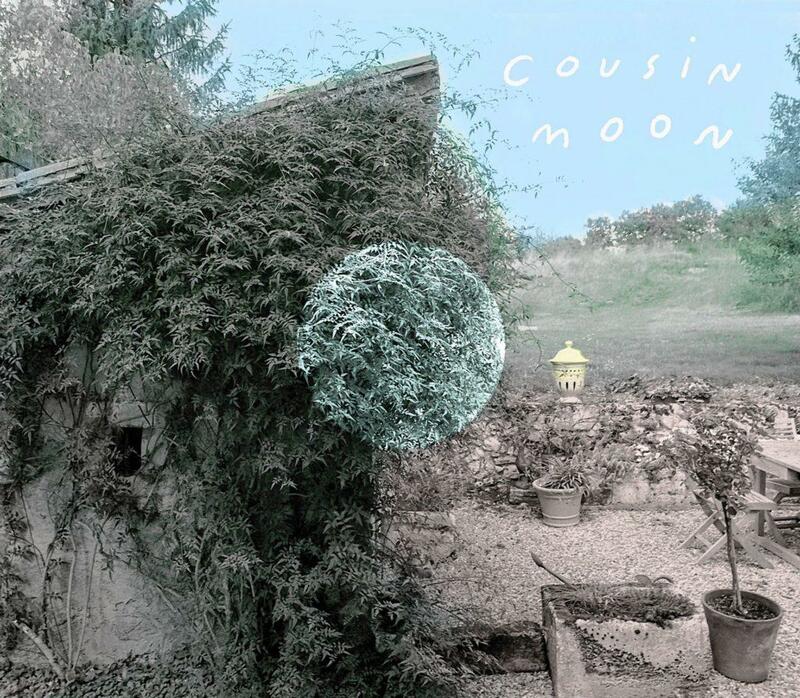 Those earlier EPs are full of great songs, and are still worth listening to now, but the band — now called Cousin Moon — hibernated for three years in their Amherst studio to make an epic 17-track album, which they are releasing this Saturday at a listening party in Florence. Like an novel that weaves multiple storylines together, the self-titled Cousin Moon record is full of a gazillion parts, voices, layers, moments, genres, and stories. Individually they are compelling, but listened to and appreciated collectively, they take on new life. Every nook and cranny has been meticulously and deliberately thought about in the arc of the album, which is worth listening to all the way through with a good sound system, so as not to miss any of the ear candy. Take, for example, a sequence in the middle of the album. Track eight, “Lost,” sung by guitarist Max Wareham, fits nicely into the Cousin Moon wheelhouse: a rootsy indie rock song that channels The Band with Beach Boys harmonies soaring overhead. A calm verse is followed by a chorus that drops, and the outro has a whistled melody with a sampled conversation and delayed guitar phrase that lingers underneath the surface. This flows into track nine, “Stan,” which is a 54-second keyboard swell that transitions into “Faraway,” an upbeat pop number driven by the bass and sung in falsetto, about a planet where the singer, Karl Helander, sits alone, and no one hears the words he says. What makes this all the more compelling is that it truly feels like a collective undertaking. At least four members — Karl, Max, Phoebe Helander, and Aaron Moon — sing lead, and bassist Andy Cass was the lead engineer on the record. Together, they are unstoppable. Go to the listening party, pick up a CD, and hear this magnum opus for yourself. It might even stand the test of time. I think it will. The Listening Party is Saturday, Feb. 4, at the Northampton Community Center, 140 Pine St., Florence, at 6:45 p.m.